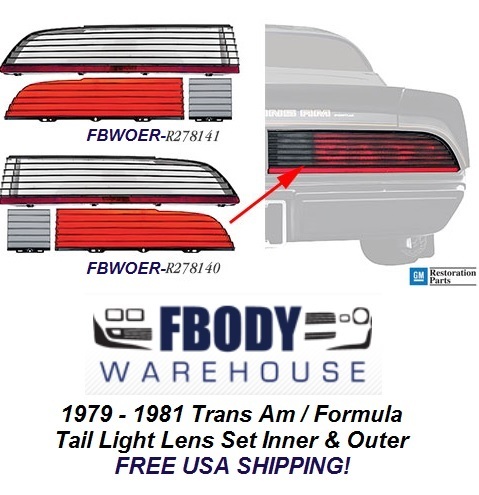 OER® reproduction of the original tail lamp lens assemblies for 1979 1980 1981 Firebird Formula and Trans Am models. Meticulously manufactured to exact specifications, each injection molded tail lamp lens is designed to fit and install as original and will replace the existing broken or damaged original. Features correct part numbers and OEM markings on each lens. All lenses are painted with correct colored black accents as original where required. All lens assemblies are pre-packaged in a specially designed corrugated box to ensure safe delivery. 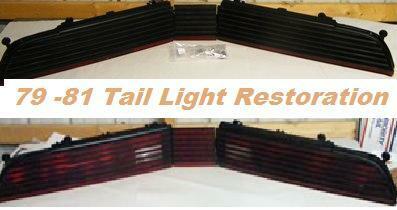 These have been very tough to find in good shape, and while we do offer a complete tail light restoration service at $375.00 You may want to go new still.